This pen has been lovingly used. It does not come with box or papers. 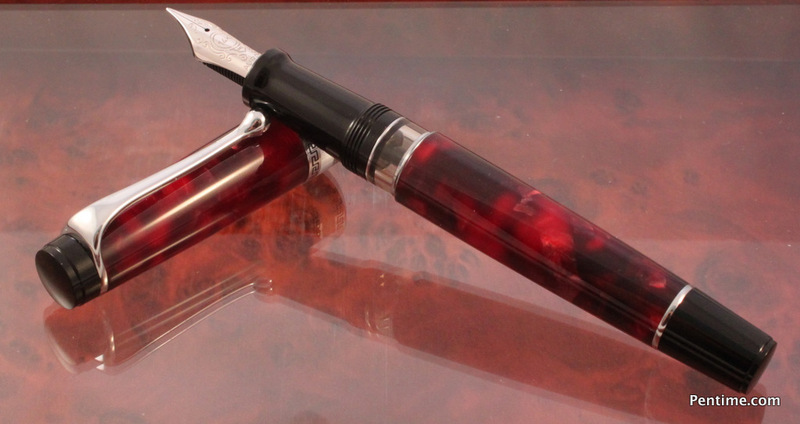 It is equipped with a Broad nib. The Mark Twain Crescent Glory is a stunning crescent filling fountain pen produced in tribute to this American icon who both used and promoted Conklin pens in the early 1900’s. Crafted from a block of deep purple cellulose acetate, each pen is fitted with a hand carved vermeil crescent pattern design overlay. Further enhancing each pen is a Vermeil coin located on the top of each cap which features a raised relief of Mark Twain’s profile. Finally, Twains famous signature has been engraved on each band. A Vermeil clip and large 14kt gold nib complete each pen. The Conklin Pen Company traces its roots to 1891 in Toledo Ohio when Roy Conklin was granted his first fountain pen patent. 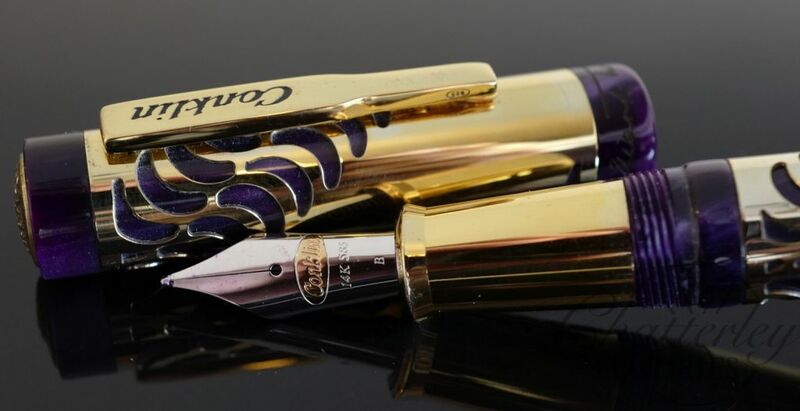 In 1901 Conklin patented the Crescent Filler in what would soon become the most technologically advanced and best selling pen on the market. With Mark Twain as it spokesman, Conklin continued to thrive and became one of the most innovative manufacturers of fine writing instruments.